If you’ve read my previous post on jams here then you may already know how much I love figs. No, seriously I really, really love them. And what’s not to love? 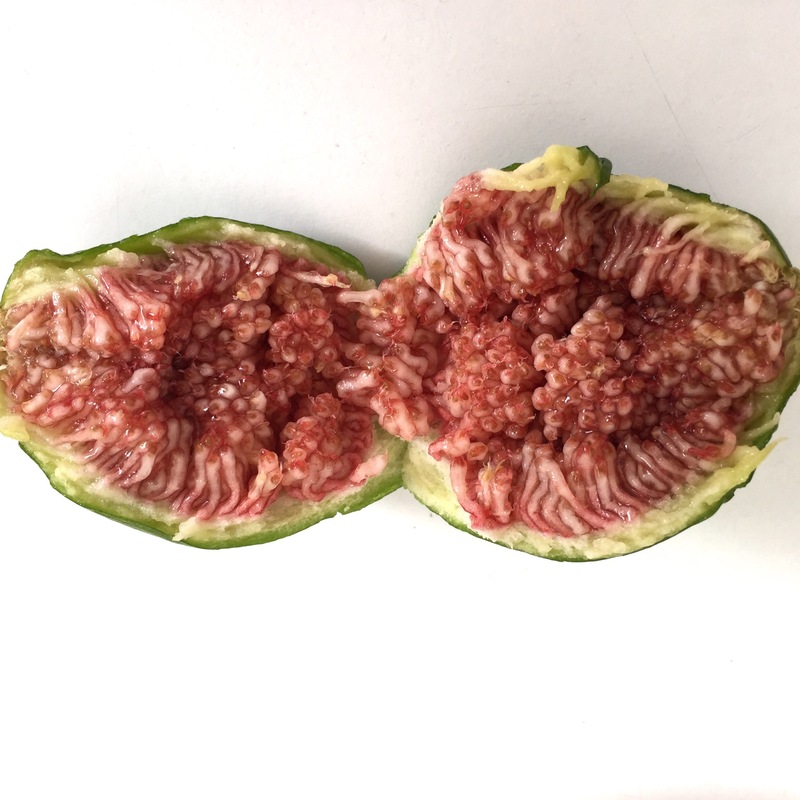 Succulent, rich parcels of sweet and juicy flesh, figs symbolise the excesses, headiness and pleasures of summer. I especially associate them with my childhood summer holidays in Portugal; grandma would have a huge bowl of them cooling in the fridge, delicious and refreshing in the heat. Invariably, I would eat them all – though not all in one sitting, not unless I wanted a very bad tummy ache and to spend the rest of the day in the bathroom. Family members who had fig trees would be visited often. I have a memory of visiting a relative, I think a second cousin or someone related to my maternal side of the family and they had the biggest fig tree I’ve ever seen. My grandpa proceeded to ask if we could help them out with their abundance and we came back with a huge haul, picked fresh that day. Happy memories indeed. 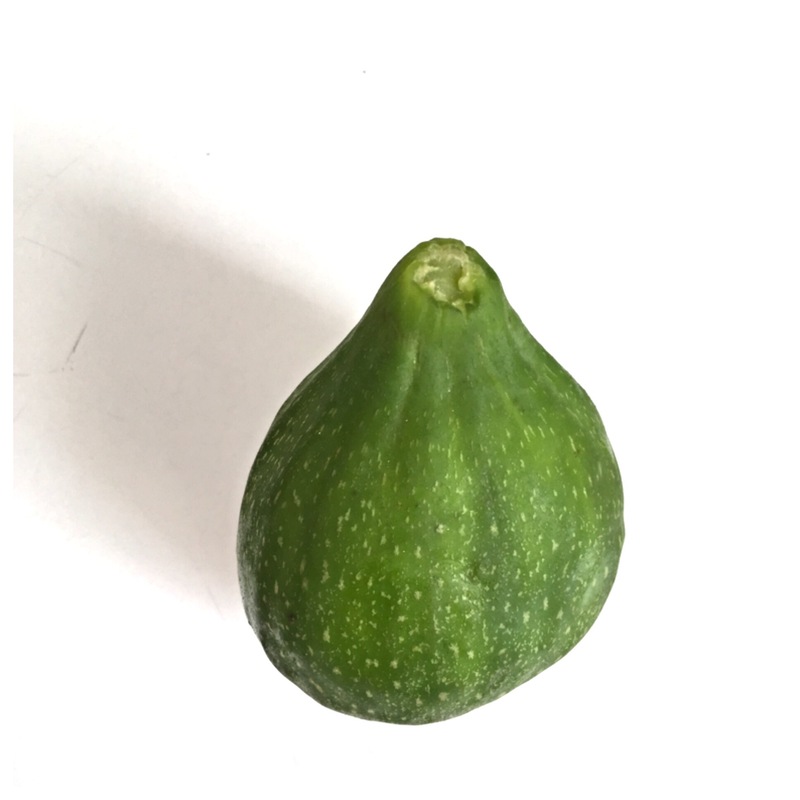 Nowadays I get my fig fix from my parents fig tree or one of hubby’s lovely colleagues whose fig tree goes into overdrive and for a while I start hassling him as soon as he’s through the front door, “Did you bring anything for me today? !” Like some kind of junkie needing their next hit!! Of course I could buy them in the shop, but the ones available are usually tiny, purple skinned ones that have flown thousands of miles from faraway hot lands and are never as good as the green skinned ones. Plus they cost an absolute fortune – I’ve seen them at £4 for four! – so it’s an addiction that needs to be kept in check. I guess because they’re so limited now I enjoy them even more. Not long ago, the last few drops of my absolute favourite perfume (Mark Jacobs Blush) ran out despite me nursing the bottle and only spritzing the teensiest amount on special occasions. It was my perfect scent. That beautiful jasmine combined with tuberose, freesia, honeysuckle and orange blossom. I always thought it smelled quite lily-ish on my skin with a lovely freshness. Light enough for day, but if I sprayed a little more liberally it was heady enough for night. It had been released eons ago and of course now discontinued. The search began for a perfect replacement. Now, I’m realllllllllly funny (weird, not haha) about scents. I dislike it when people buy new perfumes for me that aren’t ones I already adore or have specifically asked for. Oh goodness, could I sound more ungrateful?! I don’t mean to, it’s just I find my sense of smell is super sensitive. Always has been. I can’t go to a petrol station unless all the car windows are wound up. I’ve experienced migraines and nausea at work when a boss decided to burn a rose scented candle. I can tell when someone is smoking cigarettes even if they’re 50 metres away. It’s a boon – my scent memory has brought me to tears upon entering a room, and a burden – especially when overpowering scents lead to major sinus headaches. Most importantly, perfumes are such a personal choice and what smells a certain way on one person can smell completely different on another. I set about sniffing different bottles, whilst Hubby sprayed tester strips for me to sniff and/or veto. By some miracle we found the perfect replacement. The gorgeous Do Son has a similar white floral and tuberose scent, but is more powerful. I was delighted to finally find a new perfume. It made me smile. No, actually it made me laugh. I was happy. I was a happy, laughing loon, happily laughing and sniffing a bottle of Philosykos. You’re going to think I’m a sap but within ten seconds I had tears in my eyes. This delicious, fruity, sensual scent was a step back in time. It was a hot summer’s day stood in a grove of fig trees, with a plate of figs opened and ready to eat. It was happiness in a spray. I walked away from the store with my wrist to my nose, trying to defeat the urge to nibble at it. I didn’t realise that this amazing scent had been around since 1996. I mean, WHERE HAVE YOU BEEN ALL MY LIFE?! Why had I never smelt this in my life before?! Not only could I eat my beloved figs, I could smell like one too! I didn’t purchase then and there because it was going to be my birthday soon (this was back in middle of July) so could finally tell loved ones what I wanted for a gift. Hubby managed to get me the travel sized version (3 x 12ml) of both Philosykos and Do Son which was perfect as I wanted both – I’m a have-your-cake-and-eat-it kinda girl – and I’ve enveloped myself in figgy goodness ever since. If I’m feeling gloomy or blue I just spray Philosykos and feel instantly better. I don’t care if it’s more of a summer scent, I’ll still be in my happy, sunny, fig-induced haze in the depths of winter. If we’re close pals then you’re welcome to have a sniff of my neck if you need cheering up too. Please Diptyque, promise me you’ll never ever EVER discontinue this scent. It’s happiness in a bottle and I think everyone should have it. What’s your absolute favourite scent?